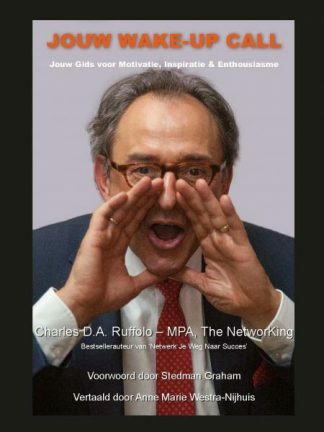 Charisma is generally difficult to transfer to the printed page, unless, of course, you are Charles “Ruf” Ruffolo, MPA, the self-proclaimed NetworKing, a Professional Networker, Speaker and Trainer known for his inimitable style and wildfire networking events held throughout the Netherlands. 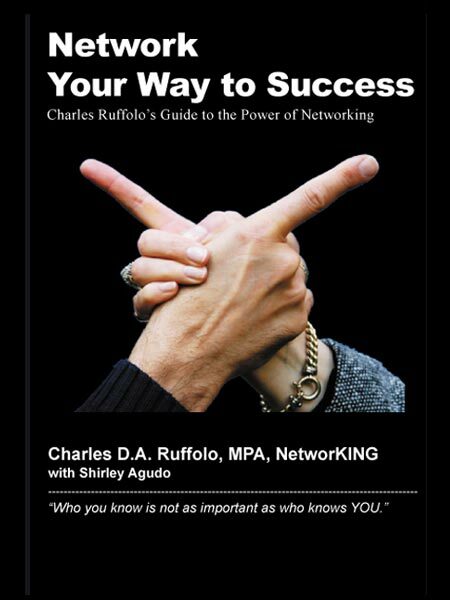 Ruffolo’s first book, Network Your Way to Success, which he wrote with author and public relations consultant Shirley Agudo, both of whom are natives of Pittsburgh, Pennsylvania, is a basic but complete guide to the complete networking, A to Z… and then some, with a strong infusion of his infectious charisma. 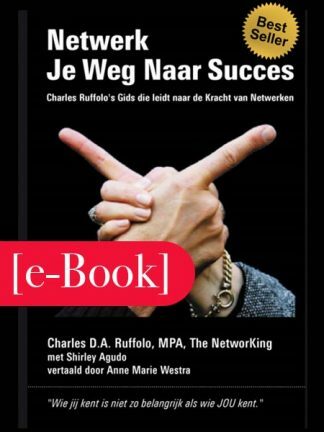 Charisma is generally difficult to transfer to the printed page, unless, of course, you are Charles “Ruf” Ruffolo, MPA, the self-proclaimed NetworKing, a Professional Networker, Speaker and Trainer known for his inimitable style and wildfire networking events held throughout the Netherlands. Ruffolo’s first book, “Network Your Way to Success,” which he wrote with author and public relations consultant Shirley Agudo, both of whom are natives of Pittsburgh, Pennsylvania, is a basic but complete guide to the complete networking, A to Z… and then some, with a strong infusion of his infectious charisma. Based on Ruffolo’s very convincing premise that anyone can and everyone should and everyone already does network, he illuminates the whys, wherefores and wisdom of the power of networking for life. In an entertaining way, Ruffolo utilizes personal anecdotes from his wayward youth, 20-year military career with the U.S. Army and personal, celebrated road to success to illustrate how the average person can indeed change his or her life by learning how to network with conviction. Covered in-depth are ways to build, communicate to, expand, energize, motivate, enthuse, and lead your network, with a special section on the indisputable importance of Giving Back. As one of the most enthusiastic proponents of networking, Charles Ruffolo is the founder and owner of The NetworKing BV under whose domain he trains and lectures about networking; The Network Club, an on-line goldmine of networking opportunities for members, including sponsorship of a regular series of popular networking events held in all four corners of the country; and the Giving Back Foundation, a career-mentoring program for minority high-school students in Holland. Hinged on a staggering data base of over 10,000 people, all of whom he seems to know intimately, Ruffolo has an international following of enthusiastic supporters, some of whom boast that they can remember the exact date when they met this genuine, caring wildcard of a success story who they claim has helped so many with his uncanny knack for connecting people from all walks of life. To those who know this” kind-hearted, genuine comedian of sorts” and have benefited from his training, advice and example, there truly is no other NetworKing.